Nokia announced that the highly-anticipated N8 smartphone is shipping--although it reportedly won't arrive in the United States for another four weeks. The N8 has some impressive features, but the question is whether or not the smartphone is impressive enough for Nokia to come this late to the party and still have an impact. There is a lot to like about the Nokia N8. The camera capabilities are almost enough to make it comparable with actual point-and-shoot cameras as opposed to competing smartphones. Most of the other features are not all that remarkable, though, by current smartphone standards, and some of the specs of the N8 are actually quite disappointing. The reason that the Samsung Galaxy S series of Android smartphones has been such a success--aside from the fact that they are very capable smartphones--is that Samsung allied itself with not one, but all four major wireless carriers (a winning strategy it plans to continue with the upcoming launch of the Galaxy Tab tablet). In stark contrast, Nokia will find selling the N8 to be an uphill battle with no carrier subsidies or co-branded marketing opportunities. The bottom line is that, despite its role in the global mobile phone market, Nokia is virtually non-existent in the United States and is not even on the smartphone radar, according to market share studies. Nokia might gain some market share if it gives the N8 away, but at $500 with no wireless carrier partners, the Nokia smartphone can't compete with the iPhone, BlackBerry, Android, or the upcoming Windows Phone 7 smartphones. Even the iPhone 4, Droid X, and other popular smartphones would be significantly less successful if they were only available at the full retail price. But, the Nokia N8 lags these cutting edge smartphones in display specs, processor power, memory, available apps, and other crucial areas that make it much less appealing than its rivals. It may do well in other parts of the world, but in the United States the N8 is doomed to be a niche novelty also-ran. 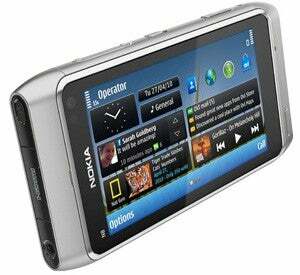 What could resurrect Nokia's prominence in the United States is if the rumors are true that its new CEO--former Microsoft executive Stephen Elop--will alter Nokia's smartphone strategy to embrace the Windows Phone 7 platform. Nokia has some credibility in the business world, and combining the Nokia smartphone brand with the Microsoft Windows Phone 7 platform could be a winning combination capable of challenging the RIM BlackBerry culture.